Seek the care of a dentist as soon as possible. Pain can escalate and become un-manageable quickly. Out of office hours care can be found in your local area Click HERE to be redirected to a web site that can help. There are many causes of dental pain. If you a have tooth with a hole in it (a cavity)which causes tooth-ache and has sensitivity when you take hot and cold foods and drinks, as a temporary measure, try analgesics and oil of cloves. If you are unsure which pain killers to take speak to the pharmacist. Always follow the manufacturers instructions. We would advise you see a professional for an expert opinion. Oil of cloves can be purchased from most pharmacies. Dilute the oil of cloves in cooking oil and dip in a small bud of cotton wool or tissue paper and gently push it into the hole in your tooth. It needs to be placed within the tooth. Placing the cotton wool anywhere else may cause damage to your gums. If in doubt don't do anything except use analgesics and seek the attention of a dentist. Oil of cloves unfortunately will do little to help teeth suffering a dental abscess. If you have pain when you touch or bite onto your tooth, but no pain as a result of eating cold foods and drinks. 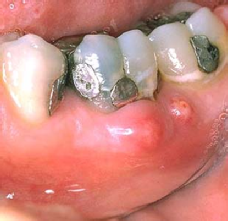 Your tooth may have died and be developing an infection around the tip of the root. This situation usually escalates into a very painful dental abscess. Don’t wait ! 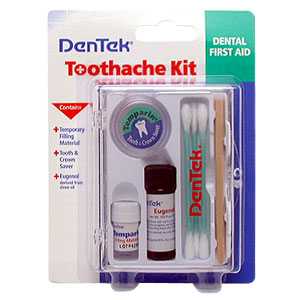 You should seek emergency dental care as soon as possible. This can be via private or NHS dentist. Contact NHS Direct or type in Dental Access Centre into a search engine or contact us on the details above. 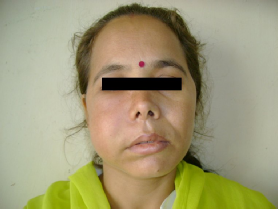 If you have a facial swelling as a result of a dental problem, you should seek emergency care. This can be via NHS Direct or your local 111 emergency number or dental triage number. If you feel the swelling is affecting your breathing or you have a temperature and feel unwell you should contact your NHS direct or go to your local Accident & Emergency Department or contact the clinic via the details above. Prolonged Bleeding Following an Extraction or Surgery? Prolonged Bleeding after surgery or a dental extraction can be a serious complication. With the applcation of pressure with a moist clean cloth directly over the socket for 15-10 minutes the bleding should stop. It is usual for a surgical site or socket to ooze blood for up-to 48 hours, after the appointment. If pressure over the area does not control the bleeding and If your mouth fills with blood so that you are forced to spit out into a sink and the sink fills with blood, this is an emergency, You should contact your surgeon/NHS Direct or go directly to A&E immediately. It's very uncommon to require very strong pain killers for dental pain. By using one or a combination of the analgesics shown above, dental pain can be controlled until you can be seen by a dentist. Everyone is different, and some people react better to analgesics than others. It is always important to follow the instructions and advice leaflets found in packaging and to speak to a pharmacist to buy the most appropriate analgesics for you. Please do not use above the recommended dose of analgesics outlined with your medications information leaflet. Incorrect use of analgesics can cause irreversible damage to your internal organs. Patients in pain requiring out of clinical hours care or dental care contact Mr Dadswell on Tel: 07798701841. For patient’s seeking NHS emergency care contact Telephone 111 emergency services .